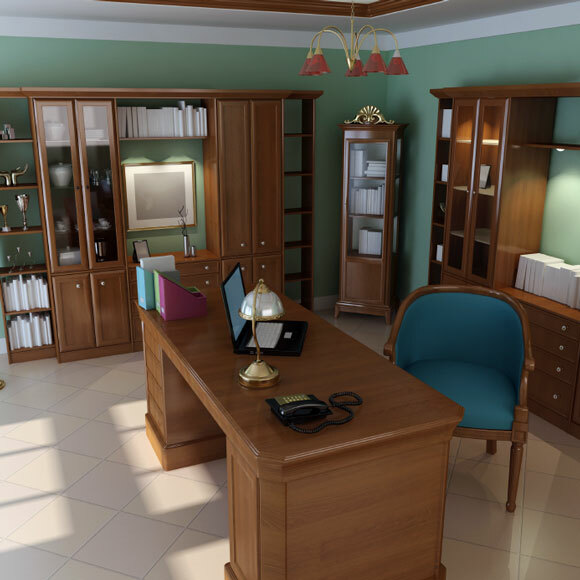 The interior of a professional office includes office furniture such as wooden shelves for storage, a wooden desk, and a blue chair. The office features green walls and an overhead chandelier with red shades. The desk includes an open laptop, indicating that work is in progress.